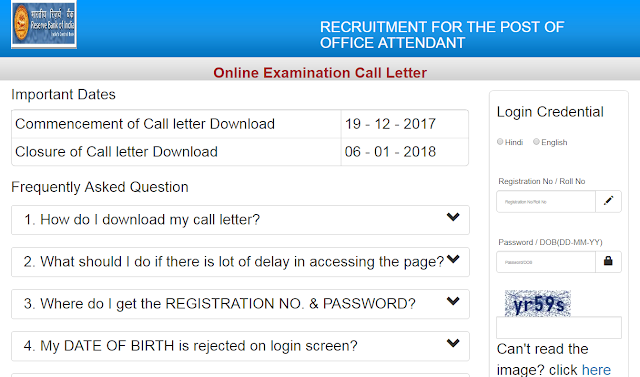 RBI Office Attendant Admit Card 2017-18 – Download RBI Office Attendant Call Letter, Hall Tickets 2017-18 via the Official Website direct link given below. Reserve Bank of India will conduct RBI Office Attendant exam in the month of January 2018. You can download the RBI Office Attendant Admit Card 2017-18 online from their official website. 2. click on the admit card download link.